Stress relieving supplements known as adaptogens are especially beneficial when they are taken daily, even for a lifetime. They are often used in tonics, due to their ability to increase resistance and adapt to all stressors and body needs. We like adaptogen herbs such as ashwagandha, rhodiola rosea, and eleuthero because they are the essence of holistic healing and prevention. These herbs are a good starting point for people new to the powerful benefits of plant therapy. It’s your chance to try something different from mainstream drugs with their horrible side-effects! Our culture is accustomed to first contacting a disease or illness and then taking a “miracle” pill that dramatically heals. You will need to adopt a new mindset, because herbs that combat stress naturally work quietly on a cellular level to protect and prevent its return. These stress relieving supplements combat stress naturally. Ashwagandha has been used for centuries in Ayurveda, India’s traditional medicine. Many call this stress relieving supplement “Indian ginseng”. However it is not in the ginseng family. It is highly valued in the Indian culture for restoring sexual and glandular functioning, stamina and energy. It has a special ability to calm anxiety, especially when you use it on a long term basis. Interestingly, it is used to diminish symptoms of drug withdrawal. Ashwagandha has the capacity to revive exhausted adrenal glands. It is a renowned mood stabilizer. Many people have completely eliminated mainstream drugs for arthritis after evidencing vast improvement with ashwagandha. It is also treasured for its anti-aging properties. When we’re under chronic stress, it is often compounded by sleep deprivation. In a very-nearly miraculous manner, ashwagandha distresses our body in order for our circadian rhythm to restore and balance itself. Rhodiola rosea is another adaptogen proven to combat stress naturally. It is especially valuable for decreasing cortisol levels, a.k.a. the stress hormone. This herb helps lower or raise your coritsol levels, whichever is appropriate. Research has shown rhodiola rosea brings about improvement in overall mood and generalized anxiety disorder. Hundreds of studies agreed it contains antidepressant, anti-anxiety and anti-stress properties. Further, rhodiola rosea root extract demonstrated no negative side-effects, as opposed to synthetic drugs that characteristically cause digestive distress, sleep dysfunction and mood disorders. Although this flowering herb is little-known in the U.S., it has demonstrated amazing benefits for athletes. One small study evidenced a 12% boost in length of performance. Rhodiola rosea seems to radically reduce symptoms of physical fatigue, particularly those resulting from stress. The herb has long been prescribed in Russia to athletes, military and astronauts, to enhance mental performance and fight fatigue. Shift workers, who suffered sleep deprivation, become alert and productive after taking rhodiola rosea. Interestingly, rhodiola rosea reduces binge eating caused by stress. It increases serotonin and decreases corticosteroids. Also, this herb acts to breakdown stored fat, when taken in conjunction with exercise. Because rhodiola rosea increases serotonin, it is rated among the most powerful stress relieving supplements for depression. Although Eleuthero is often referred to as Siberian ginseng, surprisingly it is not in the ginseng family. But, it acts ginseng-like in the body. Eleuthero builds stamina and boosts the immune system. It is safe for both men and women for long-term use. The herb is considered predominately a male tonic. However, women may derive benefits for individualized conditions. 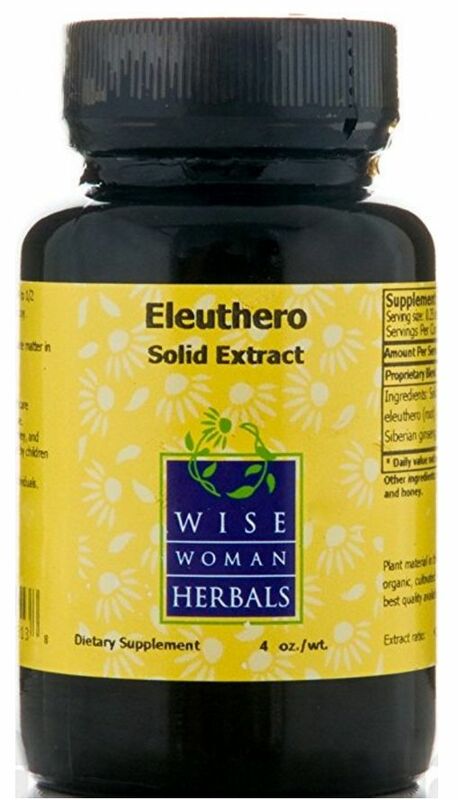 Vaginal yeast infections are a good indicator for female usage, as eleuthero is anti-yeast and immune supportive. It should be taken only under the direction of a natural health practitioner so that she can prescribe the correct dosage and monitor its effectiveness. Eleuthero was first scientifically researched in Russia, as their male athletes used it extensively. Later it became a popular adaptogen in the United States. It has been proven to combat stress naturally, increase physical endurance and adaptability to a large number of medical conditions. This adaptogen helps counteract side-effects from radiation, chemotherapy and surgery. It can also help people with thyroid conditions, such as Hashimoto’s and Graves Disease. In the 1940s, Israel Brekhman, M.D., a Russian scientist, commenced research on ginseng. He coined the term adaptogen in order to show the connection between stress and immune function. Later, Dr. Hans Selye won the Nobel Prize for further studies on adaptogens and embellished name to adaptogens energy. His premise was that when we deplete our energy, our performance is limited and our disease resistance is compromised. Plants can only be classified adaptogentic if they are totally harmless and can be taken over long periods of time. They must also have the capability to normalize body functions. In essence, they must combat stress naturally, by increasing both adaptation and resistance to all stressors, while simultaneously building stamina and vital energy. Why all the Mystery about Adaptogens? You may not be aware that in the U.S., herbalism is not taught in conventional doctor schools! Many mainstream physicians aren’t familiar with the healing power of plants, much less adaptogens . They wouldn’t know how to prescribe them if you inquired. For this reason, you should see a natural health practitioner when you want to explore stress relieving supplements. Big Pharma can’t patent plants and the F.D.A. can’t regulate herbs that combat stress naturally, but they do want to. *At MyFMDay we shop for high quality supplements that will be powerful enough to make that change in health you’ve been looking for. Products shown on MyFMDay are not the lowest price possible.